Zenoss is the global leader in hybrid IT monitoring and analytics software, providing complete visibility for cloud, virtual and physical IT environments for enterprises around the world. 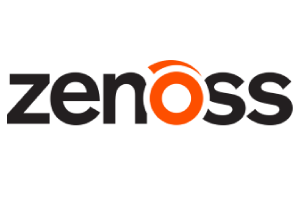 Zenoss customers gain IT performance and risk insights into their unique IT ecosystems through real-time analytics that adapt to the ever-evolving data center and cloud, enabling them to eliminate disruptions and accelerate business. Zenoss monitors 1.2 million devices and 17 billion data points a day and more than 60 million data points every 5 minutes.